Roy and Provo Director Mallory Bringhurst grew up in the Up With Kids! program, starting from the age of seven, and immediately found a home with her “second family” – a place where her overly-excited-and-super-loud personality was welcomed, encouraged, and cultivated until she turned into a true performer! After interning for Miss Nancy, she has learned so much and is super excited to give children the confidence and excitement for performing that she gained from Up With Kids! Mallory travelled with Up With Kids! 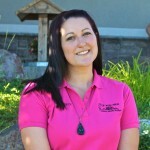 as an assistant director on three different trips across the country and eventually found herself as a Special Education Teacher’s Aide at Kearns High School for three fantastic years. Both of these experiences proved to Mallory that her true passion in life is teaching. After spending four years in sunny California as a Marine Corp wife and mother of two, she has finally come back home to Utah and been reunited with her Up With Kids! family. She is thrilled to be using the “teaching gene” passed down through numerous teacher family members. Mallory also has a passion for public speaking and has been asked to speak to youth a few times about staying positive and overcoming trials. She firmly believes that “A positive attitude will lead to positive outcomes”! Mallory understands the desire to be the star of everything, and she looks forward to helping children like herself blossom in Up With Kids!